NAMI Metro’s “Breaking the Chains of Mental Illness Gala” last Saturday was truly a magical night! The evening’s festivities began after an elegant strolling dinner with the Therapy Choir of Michigan performing inspirational and timeless hits. Magician/Illusionist/Trickster Anthony Grupido carried the “Breaking the Chains” Gala theme to fruition with the classic “Chains and Straight Jacket” Escape, tenderly relating some genuine physical and mental health tragedies that shaped his life and led him to use his magical talents as a motivational speaker. 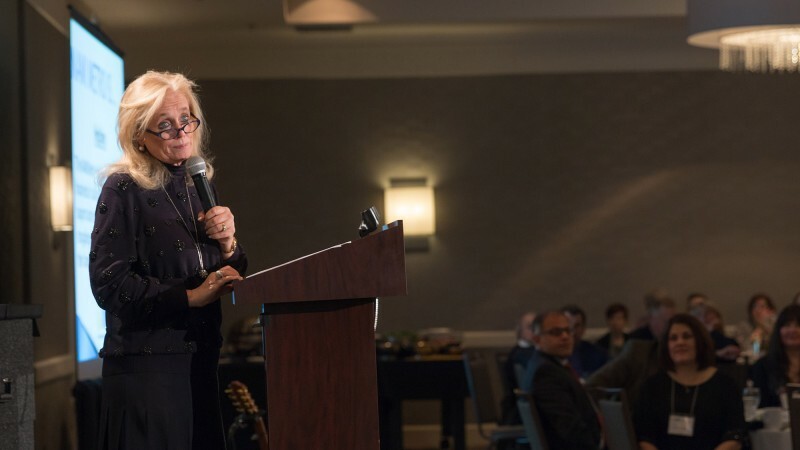 The keynote of the evening came from U.S. Congresswoman Debbie Dingell, soulfully relating her family encounters with mental illness dating back to an abusive father in the 1960’s; and the tragedy of her sister suffering from severe depression which led to suicide in the late 90’s. Congresswoman Dingell explained how that galvanized her adult life and committed her to devote her talents to fighting mental illness and providing affordable healthcare to those 1 in 4 families faced with this disease. “It’s a brain chemical imbalance and not a character flaw” was the essence of her message.